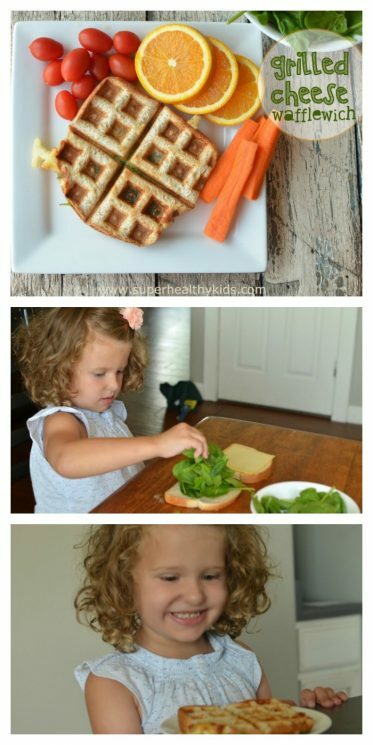 Kids love grilled cheese sandwiches! It’s a delicious way to include spinach. I don’t really want to buy a sandwich press- I already have too many kitchen appliances. And even the little ones (this cute girl is only 3!!) can help you make it. First, let the kids make the sandwich. All they need is two pieces of bread, a slice of cheese, and a bowl full of spinach. 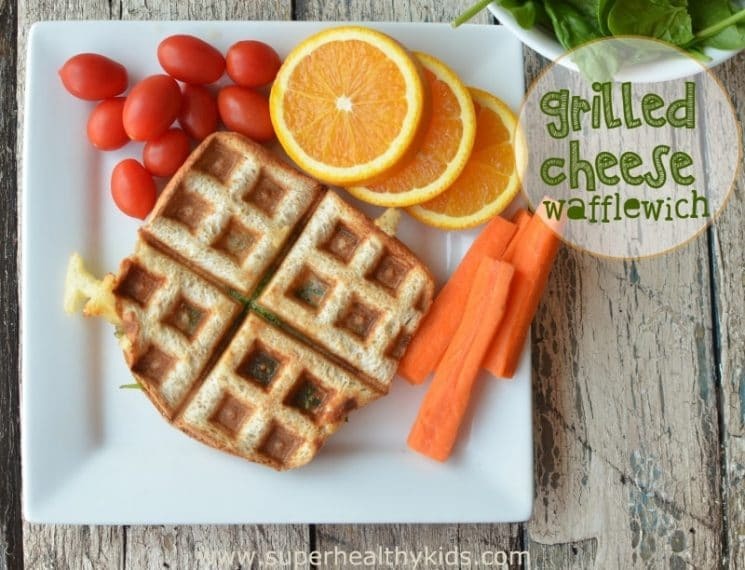 Second, place the sandwich square in the middle of a waffle iron, and let the kids close the iron. Of course, be careful if they are too young to understand it’s hot! But this is part of your teaching moment! My kids use our waffle iron so much that I ended up buying this one for my 15 year old for Christmas! His FAVORITE food is waffles, and he probably uses it himself at least weekly! We waited about 2-3 minutes, and opened the waffle iron. Our grilled cheese sandwich was grilled! 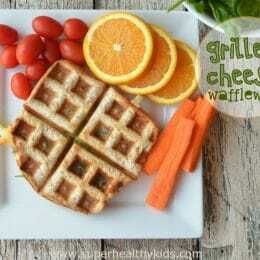 What other sandwiches could you make in your waffle iron! 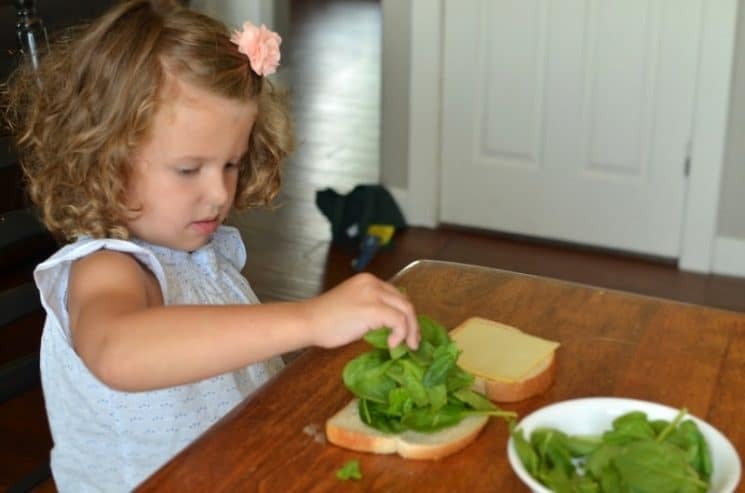 Make the sandwich by placing cheese and spinach on bread. 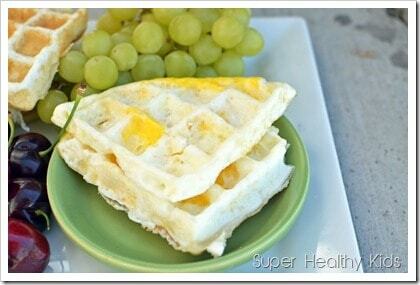 Place sandwich on a hot waffle iron and squeeze to close. Cook for 2-3 minutes, or until sandwich is toasty. Oh my goodness, what a beautifully simple meal. 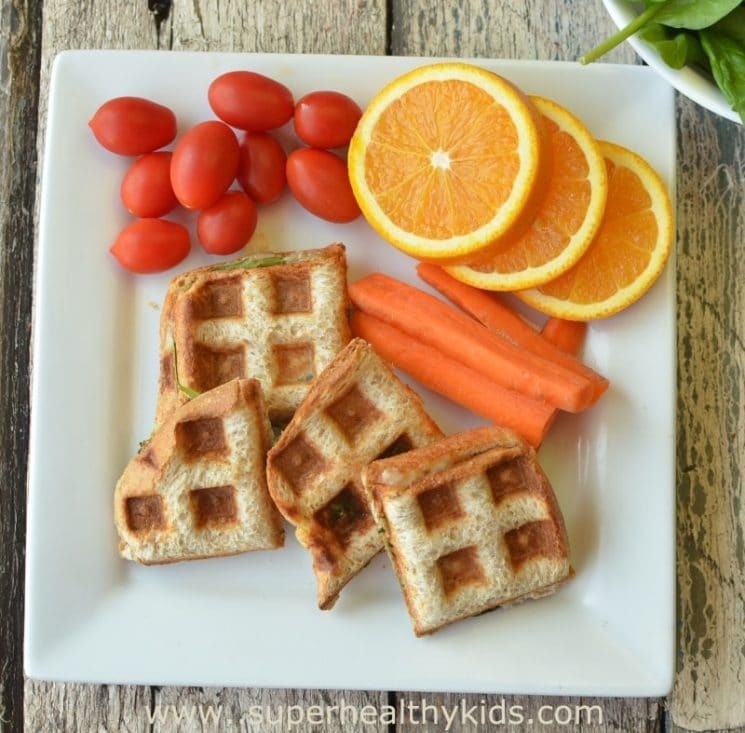 Of course, I’m thinking of how motivating this idea is for kids to try new foods! 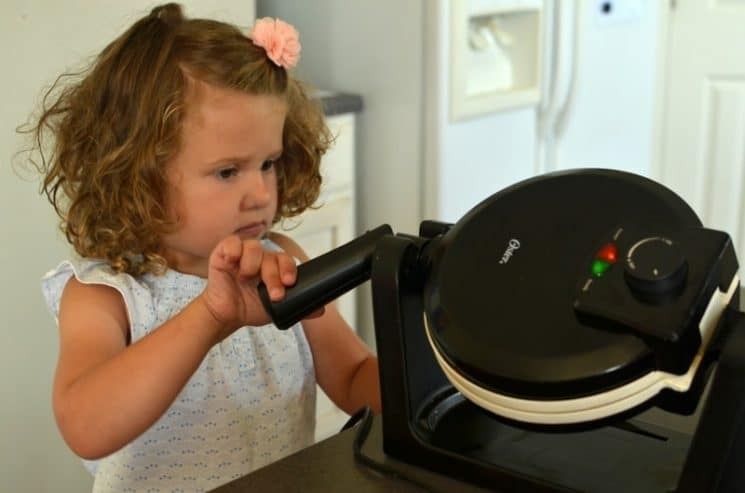 If a parent decides one day to just add spinach to an otherwise plain grilled cheese it may not go well, but setting up this novel fun way will get so many more kids to be open to it! This is so great. I just made mine! However, my sandwich was sizzling like crazy and I was afraid I was doing something wrong. Is this normal? This may be a silly question, but how do you make the pesto/mozz sandwich? Just brush the sauce on the bread? 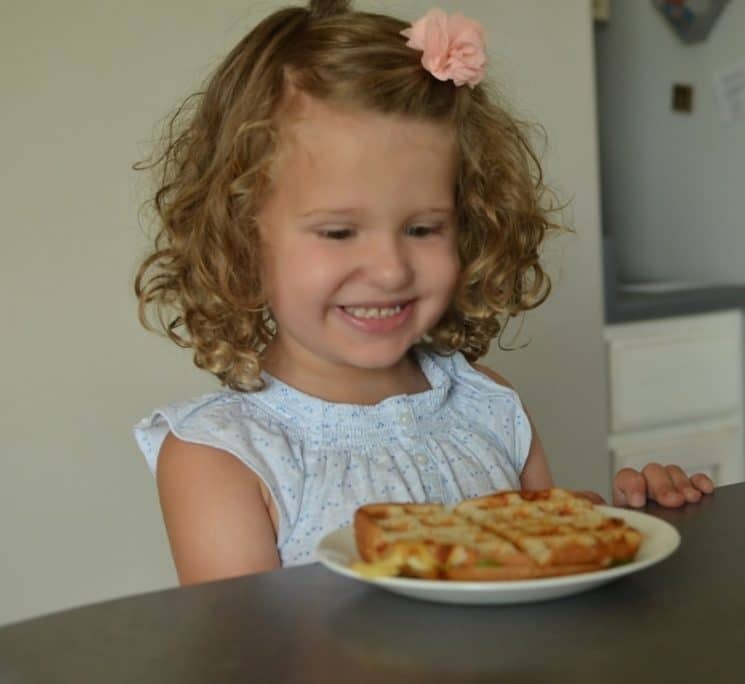 Yeah Shayna, we just spread the pesto with knife, and lay a slice of mozzarella on the bread, then close it like a regular grilled cheese sandwich.